Making something out of nothing is my favorite thing to do. When I thrift, that thrown away garment is treasure in my eyes. When I fashion diy, I enjoy seeing a bunch of pieces become something that is completely different from what it was. For example, a flat square piece of fabric and thread can make a fabulous dress. 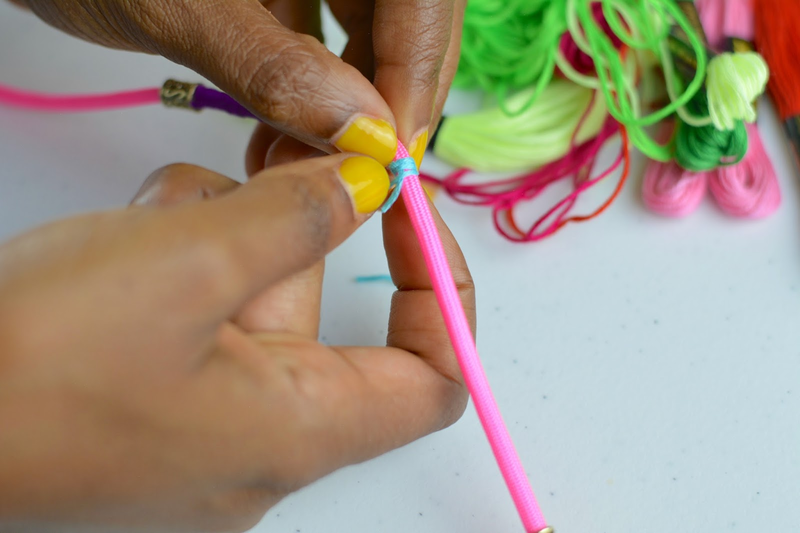 Nylon parachute ropes and string can come together to make cute and colorful necklaces. I'm really pleased with how the diy paracord necklaces turned out. I don't do a lot of jewelry making. Instant gratification projections are more my scene. DIY jewelry involves skills I haven't yet mastered so the process is slower. By trial, error, and a generous pour of SToK™, I found the groove. 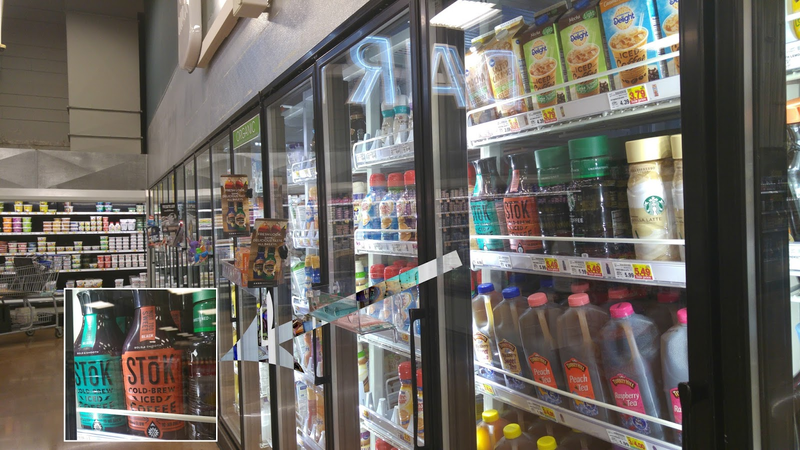 Generally, I'm a hot coffee drinker but I stepped into Kroger on a hot, humid day and spotted SToK™ cold-brew iced coffee. Cold brew coffee steeps at least 10 hours and is slightly sweet, smooth and full-bodied. Hot brewed coffee over ice can be bitter and more acidic. 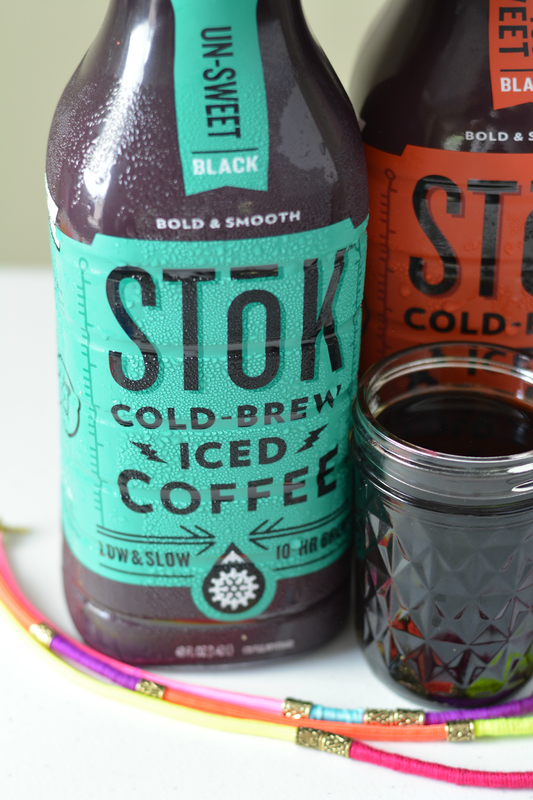 SToK™ stood out for me because I like my coffee black and SToK™ Un-Sweet has just that. No weird ingredients. It's slow brewed Arabica blend with a Brazilian blend flavor. I grabbed a Not Too Sweet Black to try as well. As the name suggests it wasn't syrupy sweet. It still has a strong coffee flavor and a lovely scent from the coffeol (the fragrant oil that emits from coffee when roasted). I imagine the Not Too Sweet Mocha and Vanilla have balanced flavors as well. It's good to coffee up (quickly engage the imagination and all the senses by administering very good coffee) when working through the creative process. 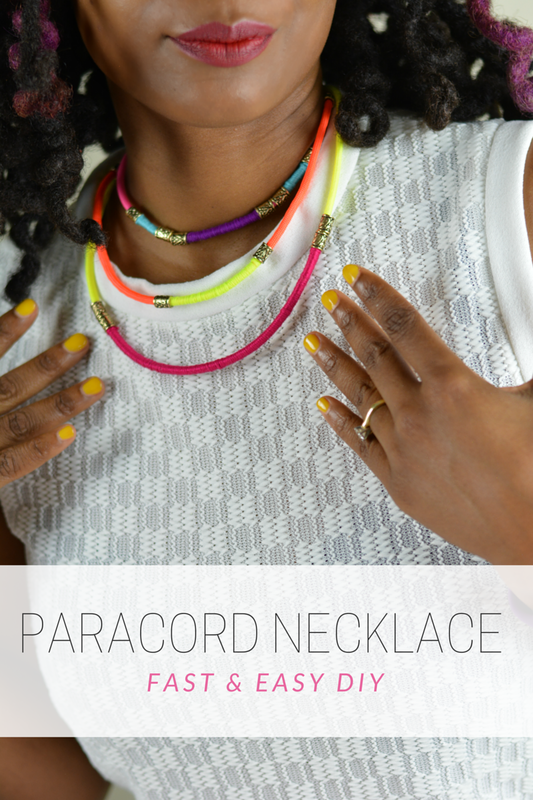 These necklaces are 15 minutes to put together. It could be more. It could be less. It all depends on YOUR process. *You will want to make more than one so be sure to buy enough supplies at your local craft supply store. 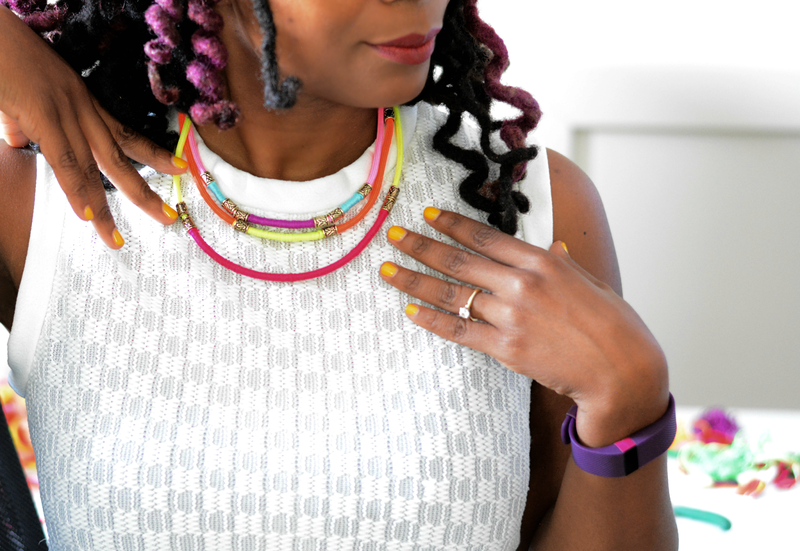 It's a really quick project and the necklaces are great for layering. 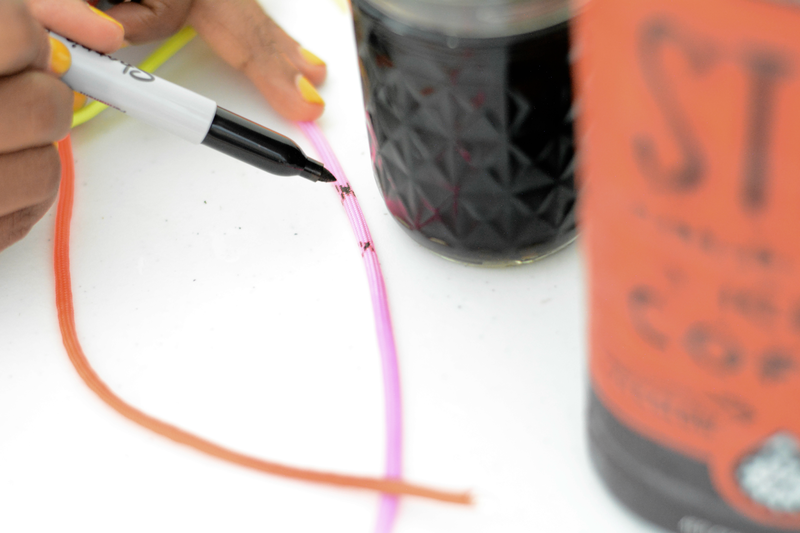 Step 1: Cut paracord cord to desired length. Find your length by draping a piece around your neck and measure where you want it to fall. Step 2: I went freestyle after the first necklace but you can preplan a pattern by marking where you want to place embroidery floss. Go with what feels right to you. 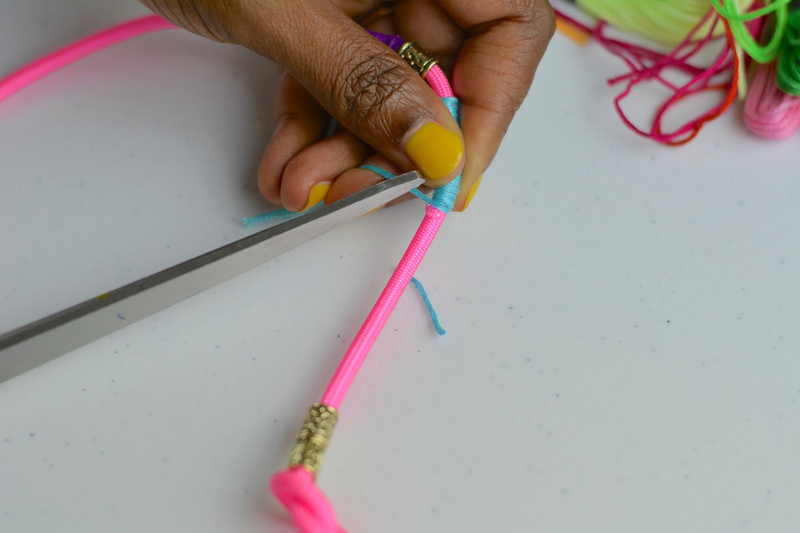 Add decorative beads to cord to finish off the embroidery floss ends. The one I'm making has 6 beads. Make a loose tie at edges of cord to keep them from falling off. Step 3: Tie and knot embroidery floss around cord beginning at your first mark. Step 4: Wind embroidery floss around cord until you reach your 2nd mark. Step 5: Tie off the end and trim. Dab on a bit of glue for extra security. Untie edges of cord. 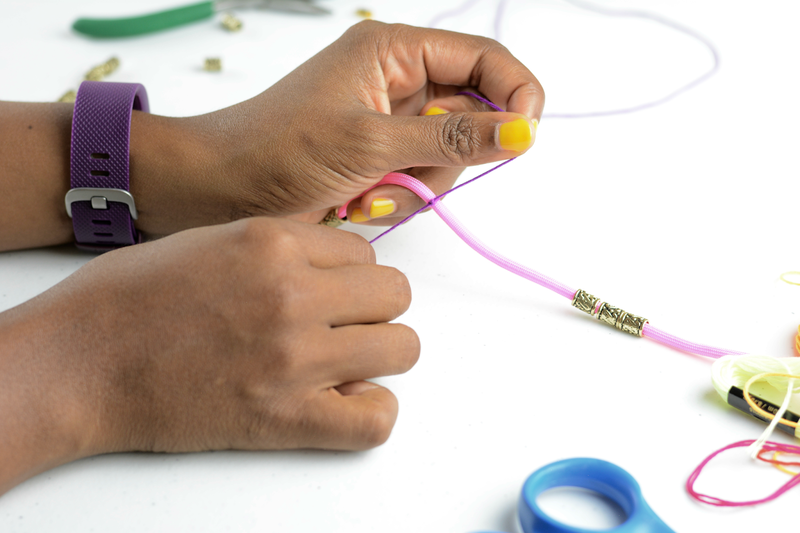 Step 6: Attach cord ends by dabbing glue on tip of cords and pushing into cord ends. 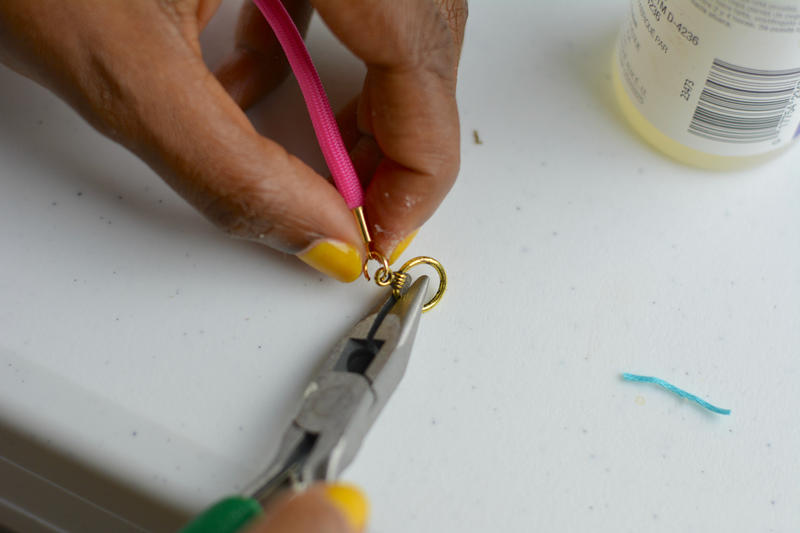 Open jump rings with pliers and loop through holes in cord end and closure at each end of necklace. Done! What do you like to do when you coffee up?